SEMI has been collaborating with Spanish administrations (RENFE, ADIF, etc.) for over 80 years in the design and improvement of Overhead Contact Lines (OCL). As a result, SEMI has produced overhead lines for ADIF for speeds of 160, 200 and 220 km/h and has undertaken the electrification and/or updating of more than 3,500 km of lines, most of them with traffic. 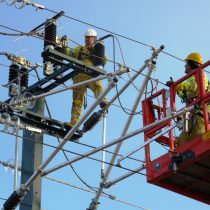 In this area, it is particularly relevant to mention overhead line C-350, which meets the strictest requirements of the European Union and is approved according to the “Technical Interoperability Specifications (TIS)”. 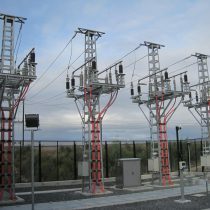 It is designed to reach a speed of 350 km/h, and operates at 25 kV AC with the option of supporting feeds of 1×25 kV AC or 2×25 kV AC.